Sounds like companies betting long term on stability in the PV industry forgot that PV might follow “silicon” prices, and that lease programs would become less attractive as prices decline. 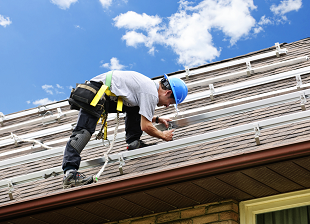 4 Reasons Why Small Solar Installers Will Rise Again : Greentech Media. Though I would not necessarily conclude that small installers would benefit more than the large ones, based on this trend. Large installers still have economies of scale in all sorts of ways that small installers will not have. Small installers may “rise again” in some manner, simply if the market continues to grow, but I would probably bet on continued consolidation and substantial market share growth by the large players. This entry was posted in In the News, Smart Grid, Sustainable IT. Bookmark the permalink. ← Smart Grid: State regulators to enforce cybersecurity? That’s a great idea. Not.